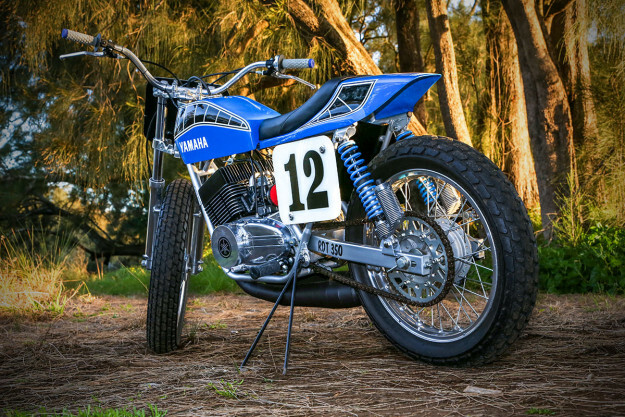 Peter Rowland races vintage motocross and dirt track in Australia. 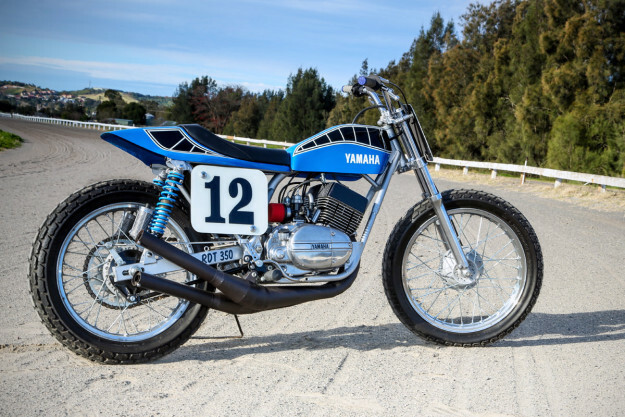 And when he’s not cracking the throttle wide open, he likes to build specials using gear lying around in his shed. 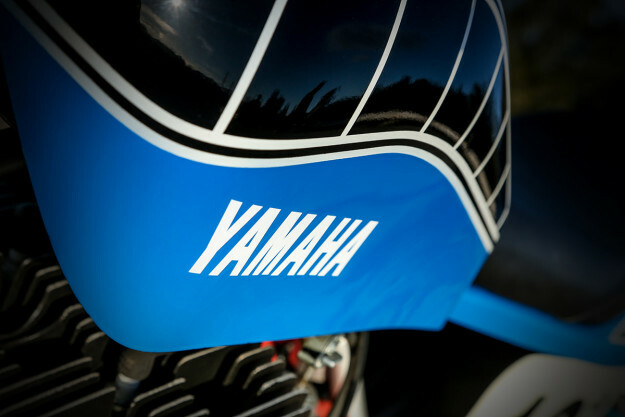 This super-slick Yamaha RD350 is Peter’s latest production. What makes it even more amazing—given that even high-end pro builders often farm out tricky jobs—is that Peter handled every aspect of the build with his own hands. The RD350 cost around AU$1500 (around US$1,100) all up. And about $500 of that was the high-performance PVL ignition—a component that cannot be built without specialist equipment. Starting out, Peter cut the original side rails, the top bar and the rear loop from the frame—and pulled the head angle back to 25 degrees. 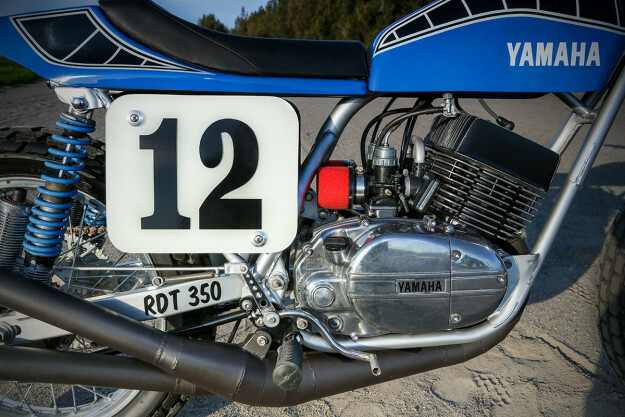 He then welded in the top bar and rear loop from a Yamaha DT2, allowing him to fit a conventional Knight tank. 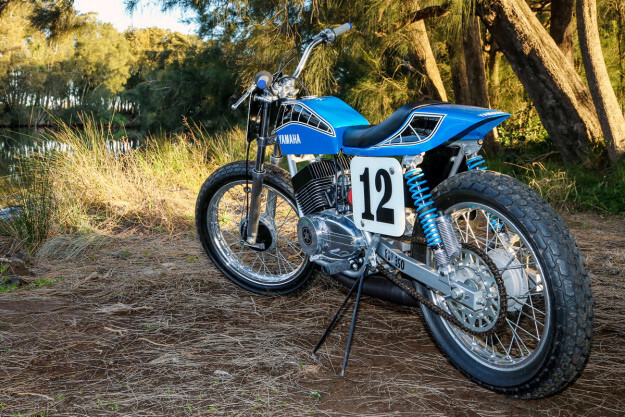 The tailpiece is an old XR750 copy that Peter found on eBay. Pulling the head angle back shortened the wheelbase considerably. So Peter made a new swingarm to stretch it back out to 55 inches, a little longer than a stock RD350. Peter did machine the cylinder heads though, to set up the squish and compression, and fitted spacers in front of the reed valves to un-shroud the boost ports. Otherwise the engine is stock except for the PVL ignition. 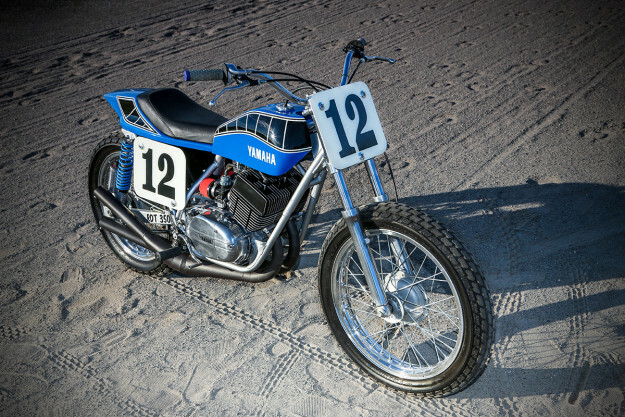 It’s a classic example of an extremely talented ‘amateur’ whose skills put some so-called pro builders to shame. 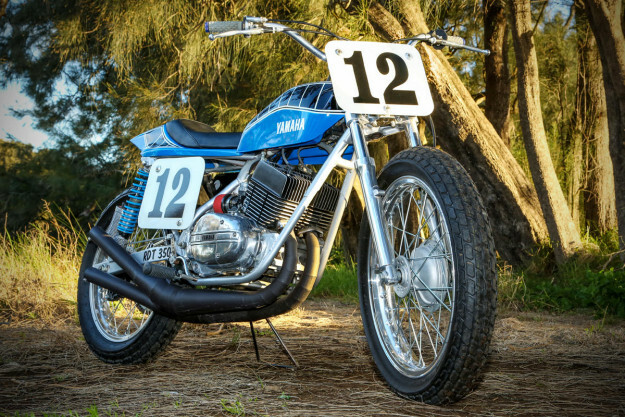 Peter did everything in his own workshop except for the seat cover—including the painting, powder coating, plating, polishing, machining, welding and sticker cutting. 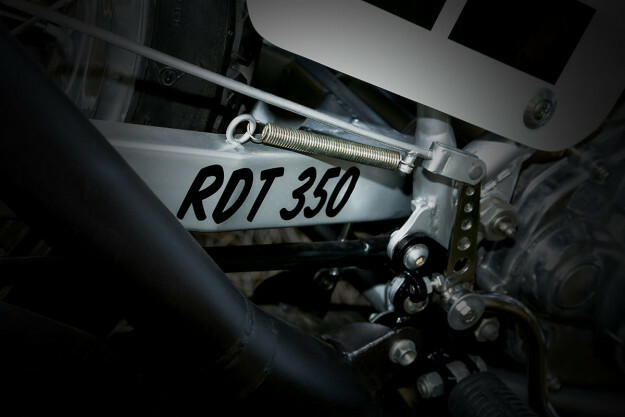 And the ‘RDT350’ name? “I make up model identifiers for the specials based on the origins of the major components,” he explains. 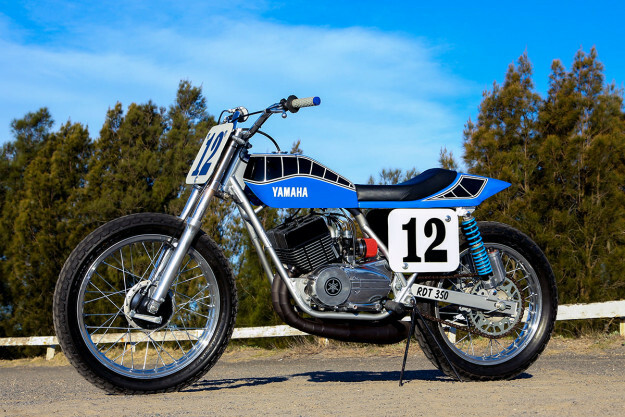 “On this one the top bar, rear loop, triple trees and front wheel are from a Yamaha DT250.